Syrian rebels’ loss of east Aleppo was a grave blow to the opposition to the regime of Bashar al-Assad. Even late in 2016, the Syrian opposition and its foreign sponsors thought rebels could hang on in besieged east Aleppo for six months or a year. Instead, their defense of the city collapsed in weeks. Russia and Iran’s full-bore intervention in support of the regime—a commitment rebel backers were unwilling to match—seems to have been the main cause for east Aleppo’s fall, although rebels’ weakness and dysfunction sped the process. The lessons that rebels take away from their loss in Aleppo will likely define what kind of war or insurgency they try to wage going forward. Syrian rebels’ loss of east Aleppo in December was a turning point in the country’s civil war. But rebel Aleppo didn’t just fall—it fell hard. Rebels had braced themselves, even under siege and surrounded on all sides, to hold out for as long as a year. Instead, faced with an overwhelming assault by the forces of the regime of Bashar al-Assad and its Russian and Iranian allies, they collapsed in weeks. Cornered in a last handful of neighborhoods, they barely managed to negotiate their safe exit from the city. Aleppo had been a stronghold of Syria’s “Free Syrian Army” (FSA) rebels and of revolutionary civil society—one of the last vital pieces of opposition territory where patriotic nationalists dominated, not jihadists. Its loss effectively ends the Syrian opposition’s ability to challenge the regime for control of Syria’s most populous urban centers and the country as a whole. Now, after Aleppo’s fall, rebels and their backers have been left to piece together just what happened. What they take away from the loss of Aleppo will likely determine how they move forward—whether they will hold fast to the revolutionary flag or run up the black flag of jihadism, and what kind of war they can win, if any. Harakat Nour al-Din al-Zinki commander Omar Salkhou promises to break Aleppo siege in October interview. According to a Western diplomat who spoke on condition of anonymity in order to speak freely, rebels’ rapid collapse caught their foreign backers flat footed. Aleppo’s rebel-held eastern neighborhoods had been a symbol of the Syrian revolution: of self-governance under an opposition city council; of spontaneous civil society and activism; and of the patriotic, FSA armed opposition, rebels who still flew the revolutionary tricolor instead of Islamists and jihadists’ more austere black banners. But according to opposition-friendly Western diplomats, Aleppo rebel commanders, and local civilians and activists who spoke to me for this report, eastern Aleppo also seems to have been undone by many of the same contradictions and weaknesses that have plagued the FSA across the country and over the course of Syria’s protest movement turned armed struggle. They were facing down a regime whose allies, Russia and Iran, were willing to do whatever it took to ensure its victory. Aleppo’s rebels were outgunned. They were facing down a regime whose allies, Russia and Iran, were willing to do whatever it took to ensure its victory. Rebels’ backers were never ready to match that commitment. The regime and its allies trapped rebels inside a free-fire zone with tens of thousands of panicking civilians, including the rebels’ neighbors, families, and friends. And—unbeknownst to rebel backers, and maybe rebels themselves—Aleppo’s rebels were too broken, exhausted, and generally dysfunctional to properly hold the line. After four years of war and against a Syrian regime buttressed by thousands of Iranian-organized militia auxiliaries and the full force of Russian artillery, air power, and likely special forces, Aleppo’s rebels were set to lose. The problems of Aleppo’s rebels are the problems of Syria’s rebels writ large, especially the internationally approved and backed “FSA” armed opposition. They’ve picked a head-on fight they can’t win—not in Aleppo, or anywhere else. After four years of grinding urban warfare and repeated attempts to encircle and cut off Aleppo’s rebel-held east, the Assad regime and its allies finally managed to capture the last road into east Aleppo in July of last year, putting the rebel half of the city under siege. Rebels from outside the city staged a dramatic offensive to break the siege later that same month, but the precarious route they opened through the city’s loyalist west was quickly shut again. Rebels from the countryside launched another battle to lift the siege in October, but failed to punch through west Aleppo. In parallel, the regime and Russia continued to bomb the encircled east while international diplomats repeatedly failed to arrange a lasting ceasefire and the exit of some civilians and militants from rebel-held neighborhoods.5 At the same time—and initially, some Western diplomats told me, without their knowledge—rebel representatives were also secretly negotiating with Russia in Ankara, Turkey, with Turkey’s encouragement. As Aleppo was falling, Western officials turned out to be divided amongst themselves and disconnected from what was happening with their rebel clients on the ground. Negotiations on both tracks initially centered on the evacuation of several hundred fighters from the Fateh al-Sham Front (formerly the Nusra Front, Syria’s al-Qaeda affiliate), a relatively minor faction inside the city. Negotiations shifted to the evacuation of all civilians—leaving militants in place—once it became apparent the Russians were either uninterested in the more limited Fateh al-Sham deal or could not convince their regime and Iranian partners to implement it. Several humanitarian corridors were arranged for the exit of fighters and civilians from east Aleppo. Few civilians chose to leave, however, either because rebels were keeping them in, some alleged, or because Aleppo residents feared and mistrusted the Assad regime. After a final three-week pause, the regime and Russia resumed their intense bombing of east Aleppo on November 15. Then, on November 27, the regime’s forces and its militia allies stormed the east and captured several key neighborhoods. The north and east sections of the rebel pocket swiftly collapsed, and rebels retreated further into the opposition enclave’s southern neighborhoods. With new urgency, diplomats and rebels continued to appeal for some ceasefire deal for east Aleppo, but with no luck. At one point, the United States and Russia seemed to be close to an agreement on a full evacuation, but talks broke off after Russia insisted on a set of stringent, unworkable conditions. 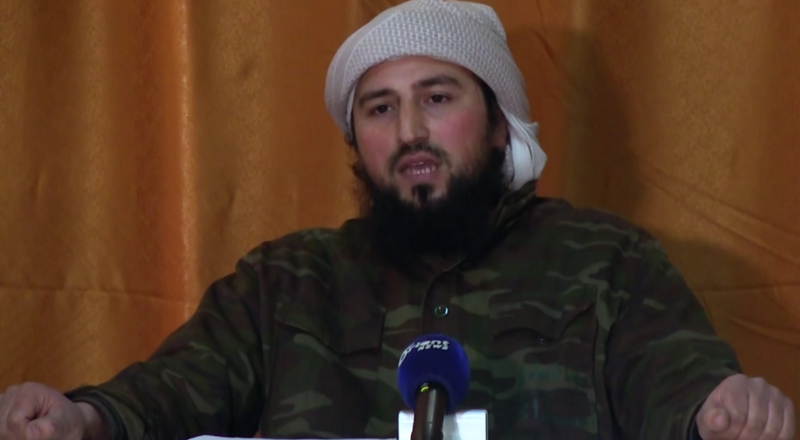 Jumu’ah Abu Ahmed, military commander of the Levant Front in Aleppo, said some rebels had been in communication with the Müşterek Operasyon Merkezi (Joint Operations Center, or MOM), a joint intelligence cell in Turkey through which the United States and allied countries direct support to rebels. Abu Ahmed said the U.S. officer in the MOM prematurely told the operations room’s Aleppo clients—including the Levant Front—that an evacuation was on the way. Ultimately, it was the rebel channel to Russia, coordinated between rebel political representatives in Ankara and rebel commanders inside Aleppo, that produced a breakthrough agreement. Russian-rebel negotiations had repeatedly stopped and started. By late November, Russia was insisting on a full evacuation of opposition-held east Aleppo, including both civilians and militants. Rebels resisted, continuing to push for a civilians-only evacuation. But day by day, rebels’ situation grew only more desperate as they lost more large sections of east Aleppo.7 By December 12, they had been backed into a handful of southern neighborhoods. It looked like there was no evacuation forthcoming—that the regime and its allies were prepared to crush this last redoubt militarily and, in all likelihood, kill or detain whoever was left of the city’s rebels and opposition civil society. But rebels finally, belatedly acquiesced to a full evacuation, and on December 13, the rebels struck an eleventh-hour deal with Russia for a ceasefire and exit from east Aleppo. Al-Farouq Abu Bakr, Aleppo commander for opposition faction and Islamist movement Ahrar al-Sham, led negotiations from the rebel side. Rebels only agreed to leave the city when it became clear that they had no alternative, he said. Ahrar al-Sham commander al-Farouq Abu Bakr describes evacuation negotiations in Al Jazeera interview. Abu Bakr has since described, in several interviews, negotiating directly with the Russian military, with a Syrian ex-rebel intermediary working on Russia’s behalf, and eventually with Iran.9 In the early stages of the evacuation, Iranian-organized militias interdicted a bus convoy leaving the city and took its passengers hostage. Iran insisted the evacuation agreement be amended to include the evacuation of two besieged Shi’ite towns, although it ultimately settled for the exit of several thousand wounded. Abu Bakr had to juggle several lines of communication with both the Russians and Iranians, but said that, ultimately, it was the Iranians and their militia proxies who proved to have control on the ground and to be the more important interlocutor. Russia, even as it was pulverizing east Aleppo, seems to have seized the opportunity to set itself up as arbiter and dealmaker. It also seems to have done so in contravention of the more vindictive impulses of its regime and Iranian partners, both of whom seemed prepared to crush east Aleppo militarily without allowing any rebels to negotiate an exit. In the weeks since Assad’s victory in Aleppo, all parts of the Syrian opposition camp have had to provide some accounting of just what happened. Nearly everyone who spoke for this report attributed east Aleppo’s fall primarily to the scale and the sheer, unstoppable intensity of the regime and its allies’ military campaign—Russia’s air and artillery support in particular, but also the sheer number of foreign militiamen Iran deployed to Aleppo. Russian and Iranian involvement was not new, but the force and firepower they amassed to take Aleppo marked a major qualitative and quantitative escalation. The siege barely had time to bite before rebels were engulfed by Russia’s bombing campaign and the Iranian-backed ground assault. Russia seems to have employed more—and more destructive—ordnance in support of the Aleppo offensive, as well as possibly special forces. One diplomat ran down the type and scale of firepower Russia had mustered, including not just aerial bombing but also ground-based thermobaric rocket launchers. “Russia had the whip-hand,” the diplomat said. Meanwhile, rebels’ backers didn’t betray them, per se. But they also didn’t dramatically ride to their aid. Interviewees denied allegations, for example, that Turkey had hollowed out rebel factions in Aleppo by pulling men from inside the city to fight in Operation Euphrates Shield against Kurdish forces and the self-proclaimed Islamic State in the northern Aleppo countryside.14 Euphrates Shield fighters seem to have been drawn more from Idlib and the west Aleppo countryside, which might have handicapped efforts to break the siege from without, but not to resist from within.15 At the same time, however, Turkey was conspicuously quiet as the regime’s offensive for Aleppo was ongoing, and Euphrates Shield’s forces did nothing to aid rebels caught inside the city. And interviewees told me rebels’ backers had stocked their rebel allies with money and weapons and been prepared to give more—to funnel money into the siege so rebels could purchase weapons and supplies from Kurdish neighborhoods or corrupt elements in the regime’s Syrian Arab Army.16 Those basement weapons stores only fell into the regime’s hands as its forces overran the city’s rebels. But rebel backers were never prepared to go all-in like Russia or Iran. Aleppo’s rebels were overwhelmingly (although not entirely) MOM-backed “FSA” rebels. But those MOM sponsors were never prepared, for example, to provide rebels with anti-aircraft weapons. Their support—and their real commitment—only went so far. As Russian fire was raining down, rebels were also surrounded by tens of thousands of terrified civilians. Russian bombing scorched east Aleppo’s civilian infrastructure, including its medical facilities, leaving wounded civilians with nowhere to go for life-saving treatment. The sheer number of civilians caught inside east Aleppo was multiples of those that had been trapped in other besieged pockets, and rebels were caught up in the panic and chaos. The suffering of civilians caught in the crossfire helped break rebels’ will and proved a major source of leverage in negotiating their capitulation and exit. Rebels had based themselves in a densely populated urban area, and the stubborn resilience of its civilian residents had been regarded as an act of revolutionary defiance. But at the end, it was civilian terror and suffering that helped defeat the rebels. But even as the ferocity of the assault on east Aleppo was the main reason for the rebel enclave’s defeat, the hollowness and decay within Aleppo’s mass of armed factions also seem to have contributed to its dramatic collapse—not why it fell, necessarily, but why it fell so fast. East Aleppo’s rebels were divided and exhausted to a degree that no one understood until it was too late. Representatives of Fastaqim did not respond to requests for comment. The rapacity of the attack on Fastaqim was another blow to rebels’ trust in each other, as well as to civilians’ confidence in the city’s factions.28 After the failures of the first and second attempts to break the siege and the Fastaqim feeding frenzy, many appear to have realized there was no way this battle could end well. The Fastaqim episode was just the most extreme example of Aleppo rebels’ debilitating factionalism and warlordism. Until the end, as their neighborhood fiefdoms fell to the regime, Aleppo’s commanders were unable to impose a functional joint command or effectively coordinate a collective defense. In addition, many factions’ defensive fortifications weren’t properly prepared or reinforced, and their ranks were filled with local men who were untrained, half-motivated, and incapable of holding up under the regime’s offensive. The factions on the rebel enclave’s northern and eastern ends, which had seen little recent action, were particularly ill-prepared. It seems impossible to properly verify the most salacious allegations of misbehavior during east Aleppo’s anarchic last weeks—secret deals with the regime or with Russia; units that, through their commanders’ incompetence, were entirely wiped out; others that abandoned whole sectors and then sat on their hands, demoralized. But whatever the specifics, together it added up to the rapid, shocking loss of rebel Aleppo. No one seems to have seen it coming—but maybe they should have. For the Syrian opposition and its backers, there are almost certainly insights to be gleaned from Aleppo. It tells us that Syria’s rebels are still split and incoherent, five years on. There are specific practical lessons, on, for example, how rebels can negotiate and with whom. But Aleppo also tells us something about Syria’s strategic landscape more broadly. It tells us that Syria’s rebels are still split and incoherent, five years on. Among the various rebel factions, the non-FSA jihadists and other factions that have been excluded from international support are the most effective, but they’re also not the whole of the armed opposition and never can be. And even if rebels were unified and professional-quality, they would still lose against the preponderance of firepower the Assad regime and its allies have assembled. Not everyone has internalized these lessons, of course, or even agrees on them. And even for those who do, it’s difficult to translate “You’re losing and will continue to lose” into a concrete agenda. Members of the jihadist trend within the Syrian opposition seem to have embraced an essentially inward-looking critique after the fall of east Aleppo. A commander named Abu al-Abed Ashidda—leader of a hardline Ahrar al-Sham splinter and, in the last days of east Aleppo’s resistance, the overall commander of Aleppo’s rebels—has done a set of media appearances in which he’s excoriated many of the city’s rebels and their backers for their failures.35 (He seems to consider himself exempt.) He’s blamed Aleppo rebels collectively for their inability to coordinate, but also singled out individual commanders and factions for their general uselessness, and for inflating their rolls with teenagers who hadn’t been trained and weren’t religiously motivated enough to fight to the end. Probably unsurprisingly, the religious hardliner critique, from Abu al-Abed and others, is that heavily “FSA” Aleppo needed more religious hardliners. The argument is that Aleppo could have held out with a purer, more unified force that was less dependent on foreign patrons—less junky FSA, more Ahrar al-Sham and Fateh al-Sham; less nationalist, more jihadist. 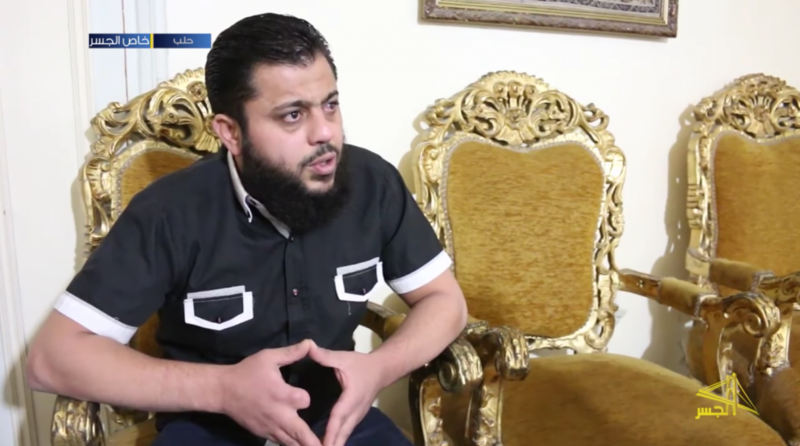 Abu al-Abed Ashidda delivers prepared statement on why Aleppo fell. American activist-journalist Bilal Abdul Kareem, who interviewed Abu al-Abed and had been caught inside the Aleppo siege, told me he thought Abu al-Abed was right on a number of points. He said it was well-known in the city which brigades manning “sleepy checkpoints” had gotten flabby and weak—typically groups that were “democratically aligned,” not Islamist—but no one had taken corrective action. Interviewees were unanimous in their recognition that Aleppo’s rebels had been kneecapped by their factionalism and that, after Aleppo, rebels had to somehow unify—but around what, it’s unclear. Rebels have since put forward competing unity initiatives, including merger projects built around either the FSA mainstream or hardliners like Fateh al-Sham.38 But the result has only been further paralysis: jihadists have insisted on their own primacy, while non-jihadists have been reluctant to let Fateh al-Sham subsume them and, collectively, to become international hunting game. The Levant Front’s Jumu’ah Abu Ahmed said Aleppo had highlighted “the need to close ranks, at least among FSA factions”—but not with Abu al-Abed Ashidda and other hardliners like him.39 Jihadists in east Aleppo, before it fell, had actually made a project out of disrupting FSA factions like Abu Ahmed’s and recruiting their fighters out from underneath them. Fateh al-Sham is also agitated by rebel participation in negotiations with the Assad regime in Astana, Kazakhstan, and sponsored by Russia, Iran, and Turkey. The agreement on Astana negotiations grew out of the Turkey-facilitated Ankara talks and built on Turkey and Russia’s ongoing rapprochement. At least some in the opposition have warmed to Russia as an interlocutor. They see Russia as, at least, self-interested and pragmatic, interested in deals instead of sectarian conquest. But rebels and their backers would likely do well to be wary of Russia. As Russia managed parallel negotiations tracks in east Aleppo’s last months, it seems to have relatively effectively played international diplomats and rebels against each other. And the hiccups in the evacuation negotiations also seemed to lay bare the limits of Russian influence and leverage over the Assad regime and, in particular, Iran and its proxies on the ground. But these lessons are all tactical—the big strategic lesson of Aleppo seems to be that Syria’s rebels are essentially outmatched. Rebels have transitioned to a conventional fighting force, not a bunch of insurgent guerrillas. But even if rebels were coherent and organized—even if they were all Fateh al-Sham—it would be impossible for them to win in a head-on confrontation against the firepower that can be brought to bear by Russia, Iran, and the regime in any one place at any one time. Rebel backers can’t or won’t escalate or give the sort of qualitatively different assistance that could even the playing field. There is a basic, irresolvable asymmetry of force and will on the two sides of the war. There is a basic, irresolvable asymmetry of force and will on the two sides of the war. But with this new flurry of diplomatic activity around the war, events may now be moving too fast for anyone to learn much. The slow—and then very fast—fall of Aleppo also raises larger questions about the wisdom and morality of fighting a clearly losing battle, and one in which Syrian civilians lose the most. Put bluntly: In rebels’ battle for Aleppo, it’s not clear what the point was, particularly in the last few years. Rebels originally stormed Aleppo from the surrounding countryside in July 2012, but after they overran the city’s eastern neighborhoods, the offensive stalled. The divided city settled into an extended stalemate, in which civilians on both sides were cut down by snipers and shelling. Then, at the end of 2013, the regime launched its relentless campaign of aerial bombing on the city’s eastern neighborhoods, including the use of improvised, building-flattening “barrel bombs” dropped from helicopters. Rebels originally justified their entrance to Aleppo city by saying they’d come to protect protesters and civilians from regime security forces and paramilitaries. But by 2014, east Aleppo was being smashed into fragments and its civilians killed in the dozens by weapons against which Aleppo’s rebels had no answer. Russia’s bombing campaign after its September 2015 intervention only accelerated the pace of civilian death. It has to be asked: Why did rebels hold on inside Aleppo? And at some point, did rebels become partially responsible for the death of their own civilian constituents? “Say your molar hurts, and I’m sitting next to you,” said dentist Salem Abualnaser. “I come and say to you, ‘I want to treat you.’ At that moment, when I said I want to treat you, I become responsible for what I do. It’s no longer enough to solely blame the regime and its allies for Aleppo’s carnage, said Abualnaser. But Syrian rebels across the country are all a long way down a blind alley, the same one in which Aleppo’s factions ended up. They’re locked in a battle that seems unwinnable, but the only alternatives are surrender or fleeing the battlefield, abandoning their communities and homes. But the revolution as it has been waged by Salkhou and others, and the armed opposition as it’s currently directed and organized, seem to have few prospects. Those rebels who persist in fighting the regime—instead of becoming border guard vassals for a neighboring state—can expect the regime and its allies to train east Aleppo-style firepower on one area after another. Zinki’s home base in the west Aleppo countryside is unlikely to be an exception. Rebels could theoretically melt away from populated, built-up areas like Aleppo and wage a more asymmetric rural insurgency. But that would leave the families and hometowns for which they’ve fought and died open to the regime’s terrifying retaliation. And it would mean giving up on what they’ve called Syria’s “liberated areas.” It would be the end of the sort of revolutionary experiments in civilian self-government and activist creativity that stubbornly persisted in east Aleppo—and that were defended by Aleppo’s rebels, even as they couldn’t stop the city around them from being bombed to rubble. The fall of Aleppo seems to have carried with it some lessons, but maybe not a lot that are particularly constructive or actionable. And for rebels now largely at the mercy of bigger, inexorable forces, it’s not obvious that it matters who learned what. It wasn’t just east Aleppo that was encircled and besieged. In 2017, the whole Syrian opposition is trapped. And it’s not clear there’s a way out. Omar Salkhou, interview with the author, WhatsApp, January 2017. Western diplomat, interview with the author, January 2017. Aron Lund, “The Slow, Violent Fall of Eastern Aleppo,” The Century Foundation, October 7, 2016, https://tcf.org/content/commentary/slow-violent-fall-eastern-aleppo/. Jumu’ah Abu Ahmed, interview with the author, WhatsApp, January 2017. Josh Holder et al., “The Battle for Eastern Aleppo in Maps: How Rebel Territory Shrank,” The Guardian, December 23, 2016, https://www.theguardian.com/world/ng-interactive/2016/nov/30/battle-eastern-aleppo-maps-rebel-territory-shrinking. Al-Farouq Abu Bakr, interview with the author, WhatsApp, January 2017. 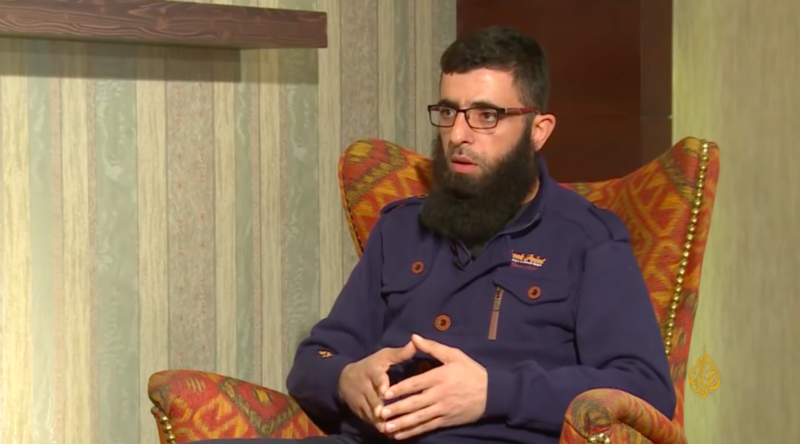 “Al-Farouq Abu Bakr: Kharajna min Halab li-Ajl al-Madaniyeen (al-Farouq Abu Bakr: We Left Aleppo for Civilians’ Sake),” “Liqa al-Youm,” Al Jazeera, January 5, 2017, http://www.aljazeera.net/programs/today-interview/2017/1/5/%D8%A7%D9%84%D9%81%D8%A7%D8%B1%D9%88%D9%82-%D8%A3%D8%A8%D9%88-%D8%A8%D9%83%D8%B1-%D8%AE%D8%B1%D8%AC%D9%86%D8%A7-%D9%85%D9%86-%D8%AD%D9%84%D8%A8-%D9%84%D8%A3%D8%AC%D9%84-%D8%A7%D9%84%D9%85%D8%AF%D9%86%D9%8A%D9%8A%D9%86; “Liqa Khass ma’ al-Farouq Abu Bakr houl Hisar Halab wal-Mufawidat (Special Interview with al-Farouq Abu Bakr on Aleppo Siege and Negotiations),” “Halab Today TV,” YouTube, January 1, 2017, https://www.youtube.com/watch?v=Pu4b2jsH2mA. “Syrian Arab Republic (Northern Governorates): Arrivals from East Aleppo as of Dec 26, 2016 (10:00 AM),” CCCM Cluster Turkey, December 27, 2016, http://reliefweb.int/sites/reliefweb.int/files/resources/20161227_east_aleppo_displacement_map_-_v2.pdf. “Syrian Arab Republic: Aleppo: Situation Report No. 14,” UN OCHA, January 20, 2017, http://reliefweb.int/sites/reliefweb.int/files/resources/Aleppo%20SitRep%2014.pdf. The United Nations had previously estimated the population of east Aleppo to be substantially higher, at 250,000 to 250,000 residents. The reason for the discrepancy is still unclear. See Aron Lund, “The Fall of Aleppo,” IRIN News, December 13, 2016, https://www.irinnews.org/analysis/2016/12/13/fall-aleppo. Jumu’ah Abu Ahmed, January 2017. Interviews with the author, January 2017. For more on Euphrates Shield, see Aaron Stein, “This Is How Turkey’s Incursion Into Syria Could Get Bogged Down,” War on the Rocks, September 7, 2016, https://warontherocks.com/2016/09/this-is-how-turkeys-incursion-into-syria-could-get-bogged-down/. Rebel commanders and Western diplomats, interviews with the author, January 2017. Dr. Salem Abualnaser, interview with the author, Skype, January 2017. Mohannad Makhzoom, interview with the author, WhatsApp, January 2017. Al-Farouq Abu Bakr, January 2017. Raja Abdulrahim et al., “Syrian Army Says Government Has Full Control of Aleppo,” Wall Street Journal, December 22, 2017, http://www.wsj.com/articles/aleppo-evacuation-nears-end-red-cross-says-1482402010. Obaydah Amer, “Al-Insihab al-‘Azim.. Keifa Asqatet ‘al-Fasailiyyah’ Halab? (The Great Retreat… How Did Factionalism Bring Down Aleppo? ),” Al Jazeera Midan, January 23, 2017, http://midan.aljazeera.net/reality/politics/2017/1/23/%D8%A7%D9%84%D8%A7%D9%86%D8%B3%D8%AD%D8%A7%D8%A8-%D8%A7%D9%84%D8%B9%D8%B8%D9%8A%D9%85-%D9%83%D9%8A%D9%81-%D8%A3%D8%B3%D9%82%D8%B7%D8%AA-%D8%A7%D9%84%D9%81%D8%B5%D8%A7%D8%A6%D9%84%D9%8A%D8%A9-%D8%AD%D9%84%D8%A8. “Istishhad al-Qaid al-‘Askari al-Batal al-Mulazem Awwal Shams Abu Mahmoud (Military Commander and Hero First Lieutenant Shams Abu Mahmoud Martyred),” Al-Jabhah al-Shamiyyah, August 14, 2016, http://www.shamiah.net/ar/%D8%A7%D8%B3%D8%AA%D8%B4%D9%87%D8%A7%D8%AF-%D8%A7%D9%84%D9%82%D8%A7%D8%A6%D8%AF-%D8%A7%D9%84%D8%B9%D8%B3%D9%83%D8%B1%D9%8A-%D8%A7%D9%84%D8%A8%D8%B7%D9%84-%D8%A7%D9%84%D9%85%D9%84%D8%A7%D8%B2%D9%85-%D8%A3%D9%88%D9%84-%D8%B4%D9%85%D8%B3-%D8%A3%D8%A8%D9%88-%D9%85%D8%AD%D9%85%D9%88%D8%AF. “Jawasis am Maghloub ‘ala Amrihim… Ayna Ikhtafa Haoula ba’d al-Khurouj min Halab? (Spies or Helpless to Resist… Where Did They Disappear after Leaving Aleppo? ),” “Orient News,” YouTube, December 25, 2016, https://www.youtube.com/watch?v=p4DP45g4CfI. “Bayyan al-Qaid al-‘Amm li-Madinat Halab Khilal al-Hisar Abu al-‘Abed houl Asbab Suqout Halab (Statement by Overall Commander for Aleppo City during the Siege, Abu al-Abed, on Reasons for Aleppo’s Fall),” “Halab2,” YouTube, December 29, 2016, https://www.youtube.com/watch?v=HKFzwR5w1FE; “Real Reasons Aleppo Fell Revealed,” On the Ground News, January 11, 2017, http://ogn.news/rraf. Rebel commanders and Aleppo civilians, interviews with the author, January 2017. Bilal Abdul Kareem, interview with the author, Skype, January 2017. Haid Haid, “The Consequences of Merger Talks among Syrian Rebels,” Syria Source, Atlantic Council, January 6, 2017, http://www.atlanticcouncil.org/blogs/syriasource/the-consequences-of-merger-talks-among-syrian-rebels. “Jabhat Fateh al-Sham Tusdir Awwal Ta’liq houl al-Qital ma’ Jeish al-Mujahideen wa-Tad’ou li-Kayyan Sunni (Fateh al-Sham Front Issues First Remarks on Fighting with Jeish al-Mujahideen and Calls for Sunni Entity),” ElDorar.com, January 24, 2017, http://eldorar.com/node/108181. Dr. Salem Abualnaser, January 2017.